Cam's Cinematic Episodes: Jet Li All Wrapped Up In THE MUMMY 3? Gracias! Well, unfortunately my review of Shooter is non-existent. We arrived at the theatre the other night, free passes in tow, to be told that the theatre was full. Seems they handed out buttloads of free passes and we were screwed... Even though my friend Tom won them on a radio station giveaway. So, don't blame me! Blame the nitwits at Tinseltown Cinemas! Instead, out of boredom, we went to the Joel Schumacher directed (Never a good sign) Jim Carrey "thriller" The Number 23... I'm not going to do a review but suffice to say it is the biggest load of crap to be deposited in theatres so far this year. Avoid at all costs! Yuck. So, that tragedy aside, lets focus on some news brewing down in ol' Hollywood town about a franchise that we'd almost forgotten about. In case you hadn't heard, the big news of today was posted on a few sites (but specifically Rotten Tomatoes) (http://www.rottentomatoes.com/news/comments/?entryid=409039 39) and it's... Meh. Universal, in all their collective wisdom, have decided to film another entry in the exceedingly vanilla Mummy franchise. You probably remember them vaguely: Lots of sand, a bunch of hokey CG, the dude from Encino Man, and wasn't The Rock playing a lobster or something in one of them? Well, the answer is yes to all of that and so... little more. The first one, directed by hack extraordinaire Stephen Sommers) starred Brendan Fraser (The Encino Man in question), Rachel Weisz (Now an Oscar winner for The Constant Gardener), Arnold Vosl oo (Darkman II &III), Oded Fehr (Resident Evil: Apocalypse, TV's Sleeper Cell), and John Hannah (JOHN HANNAH, ladies and gentlemen...). 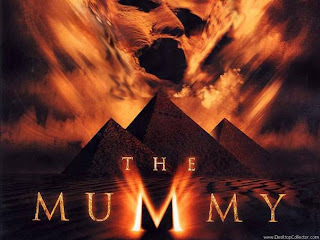 It featured a bunch of goofy mumbo jumbo about the evil Mummy Imhotep doing evil mischief and, consequently, kidnapping Brendan Fraser's son. The second one (Also "directed" by Sommers) was pretty much the same except The Rock (very briefly) showed up as the Scorpion King and did cheesy battle with our heroes. Finally, the Scorpion King showed up in his own self-titled spin-off (Produced by Sommers, directed by Chuck Russell) where the cheesiness continued in hopelessly clunky dialogue and battle scenes ripped from Conan The Barbarian. Now, I saw all three of these films in theatres. Why? Because I'm a sucker, that's why. The first one was a weak, disposable Indiana Jones knock-off that I'd forgotten by t he time the credits rolled. Perhaps it was this amnesia that led me stumbling into The Mummy Returns. I actually thought it was kinda fun. It was dumb as a pile of rocks but it had a certain charm that made me smile at its inanity. It was good for a laugh. That mild (very mild) affection is probably what drew me to The Scorpion King. Like Returns, it was hokey and stupid and kinda fun. Instantly forgettable, but enjoyable. From what I have bothered to read, the new film is set a fair number of years after the events so wondrously chronicled in The Mummy Returns. This time, Brendan Fraser an d Rachel Weisz's son is now all grown up and ready to kick some Mummy tail. So young... uh... Billy (I made that up), with mumsy and dadsy along for the ride, will do epic battle with the undead Ninja Mummy. I don't know about you, but I'm thrilled... beyond... belief... zzzzzzzzzzzzzzz. I swear Hollywood doesn't learn their lessons well! ("Really? ", you say.) This one has all the makings of a big 'ol flop. It reminds me of when they made that sequel to Tomb Raider even though no one liked the first one and it (Surpr ise!) fizzled. 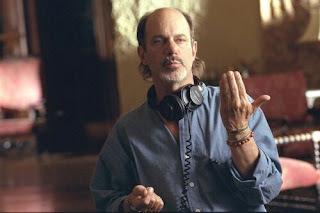 And attaching Rob Cohen to it doesn't help matters. This guy is a magnet for box-office duds lately... Possibly because he lacks the subtlety of even Michael Bay. The only way I can see this franchise thriving is under a director with a serious creative vision for it. I'm talking total reinvention. Start from square one and bring in a whole new cast of characters (And no villains with dumb names like Imhotep). I'm not slagging Jet Li (Pictured) or nothing either. I thought he was really good in Unleashed, and I still consider Kiss Of The Dragon to be an underrated gem. I want nothing more than for this guy to get some good material (Like I feel about Chow Yun-Fat) and really break through to the mainstream (With something better than The One or Cradle 2 The Grave that is...). That Kato role in the now-in-development Green Hornet sounds promising... As it stands though, I have a feeling Jet will be the only real reason to see The Mummy 3. That and to see if they throw some work John Hannah's way. John Hannah gotta eat! This next bit sounds like a really, really cool project (In fact, probably more deserving of the A-story slot Mummy 3 got...). 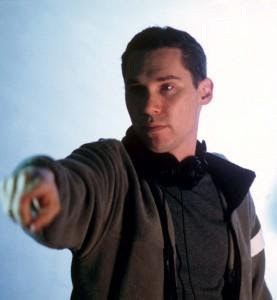 Director Bryan Singer (Usual Suspects, X-Men, X2, Superman Returns - Pictured) is teaming up with everyone's favorite punching bag Tom Cruise to film a yet-to-be titled epic WWII adventure about a mission to assassinate Hitler! The film's been scripted by Nathan Alexander, Singer and his Usual Suspects co-writer Christopher McQuarrie. The project is off and running already, scheduled to film this summer (So as to not interrupt Singer's Superman sequel). Me, I'm a sucker for anything WWII. Whether its Saving Private Ryan, Flags Of Our Fathers, Dirty Dozen, U-571, Great Escape, Bridge Too Far, or even Pearl Harbor (I kno w, I know...), I can't get enough. And with a pedigree like this it almost makes me forget about Tarantino's frequently stalled WWII adventure Inglorious Bastards. Either way, I'll be there when this one hits theatres. Singer has yet to falter in my eyes, and Tom Cruise, love him or hate him, always give these types of movies his all. Last Samurai was a testament to that. So, sorry folks about the lack of Mark Wahlberg in today's post. But c'mon, The Mummy 3! Eh? Eh? Bah, see ya next time you ingrates! Just kidding. Please come back!